What is it to talk about gene transfer, gene therapy, and gene doping? Is choosing deafness with preimplantation genetic diagnosis an ethical way to carry on a cultural bloodline? What are the ethical and social implications of genetic testing to identify precocious talents? Should sponsors be held responsible for the doping behaviours of their athletes? These are only some of the questions that Dr. Silvia Camporesi addresses in this book, through a contextual, bottom up approach based on real-world ethical dilemmas. 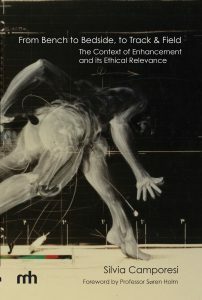 This book represents a unique contribution to the debate on enhancement technologies as it spans from the bench of molecular biology where the technologies are being developed, to the bedside of a clinical trial where they are used for selective reproduction or for first-in-human gene therapy studies, to the track & field where they are being applied to enhance human athletic performance. These investigations address current debates regarding the resurgence of eugenics in relation to genetic technologies, and provide a clear and much needed ethical autopsy of contemporary genetic practices.